Heartland Independent Living Center opened in 2002 as a branch of Disabled Citizens Alliance for Independence (DCAI). 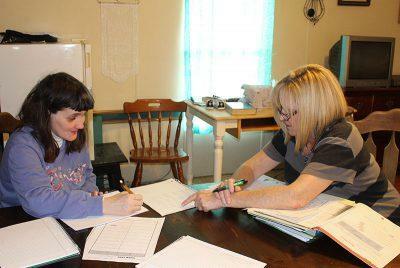 HILC was given the responsibility to serve people with disabilities living in Franklin, Gasconade and Maries counties. It was decided to physically locate the office in the center of the three county area in Owensville. DCAI purchased a former lumber yard and hardware store in 2003 and remodeled it into office space that the Center moved into in August of that year. HILC became state-funded as a stand-alone Center for Independent Living in 2006. HILC purchased the building from DCAI upon becoming a stand-alone Center. Thanks in part to a Community Development Block Grant from the Missouri Department of Economic Development, HILC undertook a major renovation during 2015 and 2016. In late 2009, HILC began to seriously consider establishing a full time branch office in Franklin County, the largest county in both population and geographic area in our primary service area. In October of 2010 the Christopher Manhart Office was opened in Union. The office was dedicated to Chris Manhart, who along with his mother and father, had served Heartland since planning for the Center first began. Chris’s health took a turn for the worst just before the office’s dedication in April, and he passed away two months later. The Manhart Office served Franklin County and our consumers to the east for five and a half years. The office was closed in April of 2016 when renovations in the main office in Owensville created additional finished office space. While the Manhart Office is gone, the memory of Chris, his mom Marjorie and dad Charles will not be forgotten. Today, Heartland has grown our programs, services and staff to meet the independent living needs of our community. Please take a few minutes to browse this site for more detailed information about our programs, services and staff who deliver our services.